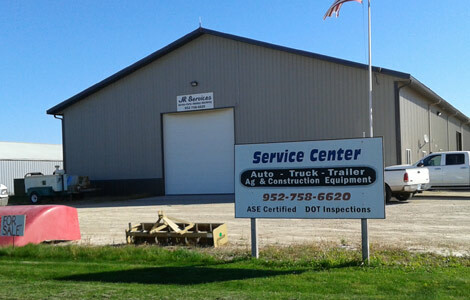 At JR Services we provide nationwide maintenance and repair services for the PuckMaster brand metal shaving scrap chip management equipment as well as local agricultural and commercial heavy equipment maintenance and repair services in the New Prague Minnesota area. We have been involved in the manufacture, maintenance and repair of PuckMaster machines since our family invented it back in the late eighties. We Buy and Sell used machines and components from all over the country. We now also maintain, service and repair used PuckMaster machines. 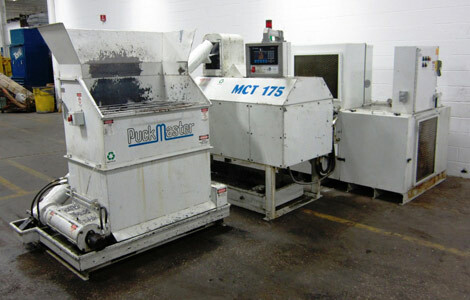 We can custom fabricate replacement parts and components for most all PuckMaster machines. JR Services is your #1 source for PuckMaster parts and service. We have over 30 years combined experience in the chip recycling industry and have the knowledge to keep your equipment running smoothly. Our large parts inventory and our “Superior Service” can have a technician at your location the next day keeping your down time to a minimum. Heavy equipment maintenance and repair specialists. At JR Services we are specially equipped to handle your large equipment repair needs. Farm tractors, Tractor-trailers, Construction equipment, Garbage trucks and much more. Whatever your heavy equipment maintenance and repair needs may be, call us to see how we can help get you back up and running. Priority repair, on-site services are available to keep your down time to a minimum. Ask for details.